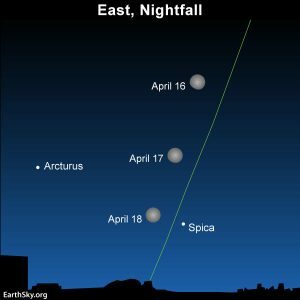 Every February, Canopus – the sky’s 2nd-brightest star – makes its annual brief evening appearance for Northern Hemisphere stargazers. Canopus over the island of La Palma, via Project Nightflight. Everybody knows Arrakis, the famous desert planet of Frank Herbert’s epic sci-fi saga Dune. But who remembers that it is set to circle around Canopus, a real star in our night sky? Canopus is the second-brightest star as seen from Earth and the brightest star in the constellation Carina. It is visible in the evening sky to people on the Northern Hemisphere as spring approaches in February. Due to its far southern declination, however, it can only be observed from latitudes up to about 35 degrees north. This includes the American South and, in Europe, the Canary Islands. Canopus is a bright, slightly bluish giant star with a visual brightness of almost -1 magnitudes. That makes it easily visible to the naked eye. 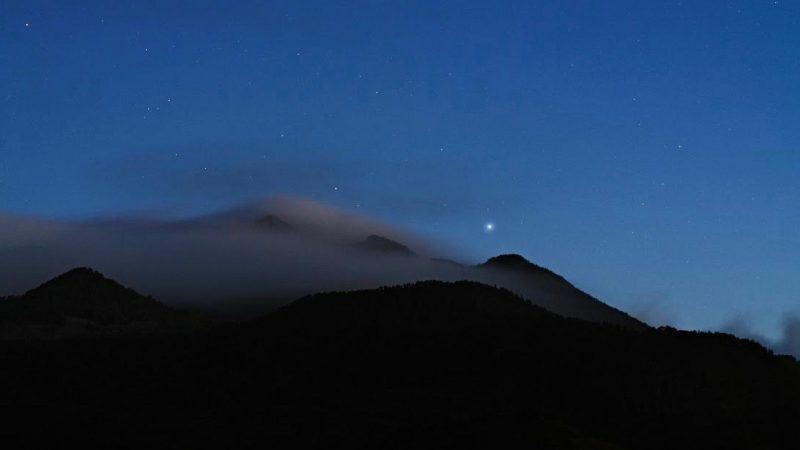 In the project nightflight image Canopus culminates over a volcano mountain range on La Palma island shortly after sunset. We used image stacking and a diffusor filter to enhance the appearance of Canopus and the landscape at dusk. And although the often barren, sandy dunes of the volcanos on the Canary Islands sometimes remind us of Muad’Dib’s Dune planet, there were absolutely no wormsigns near or far. 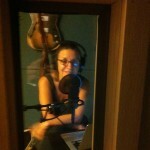 Thank you, Karoline Mrazek and Erwin Matys of Project Nightflight!